And Exactly What You Want. 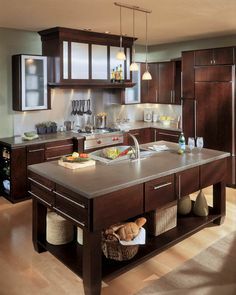 We’ve been meticulously crafting heirloom-quality, custom cabinets and millwork for our customers since 1969. And we’d like to do the same for you. 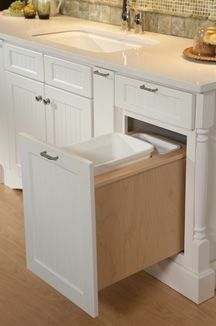 Learn more about our custom cabinets. 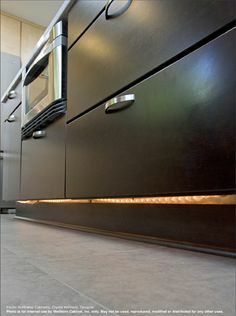 PrideCraft is committed to meeting any style preference or budget requirement. But never at the expense of quality. 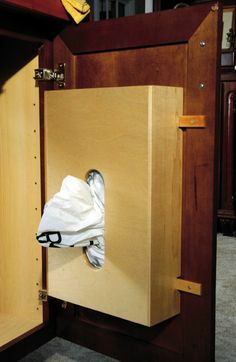 That’s why we offer the complete line of Wellborn cabinets. Learn more about our Wellborn cabinets. We understand that when you refer your clients to us, their buying experience reflects back on you. That’s why we treat each customer with the respect and attention to detail that they deserve and you expect. Learn more about Contractor & Architect Partner Programs. 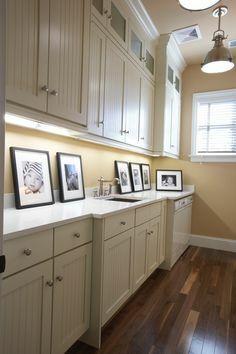 We think the best way to shop for cabinets is to see them up-close and personal. 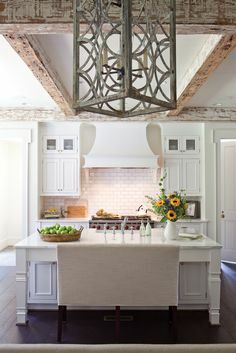 It’s also a great way to get ideas for your home. Our showroom is open to the public during the week and by appointment on the weekends. So plan to stop by and see the PrideCraft quality and style for yourself. Monday – Friday 8:00 am – 5:00 pm, or by appointment. There are a lot of factors to consider when remodeling and building your new kitchen, bath, entertainment, or home office. We’ve assembled some resources to help you along the way. By answering these questions, you will be able to help yourself, or any professional you select, pinpoint exactly what it is you are looking for. Sometime is helps when you speak the language. 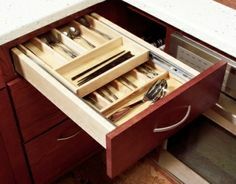 Here is a dictionary of cabinetry terms from our friends at Wellborn Cabinets. You have questions. We have answers. Click to see if we answer yours. 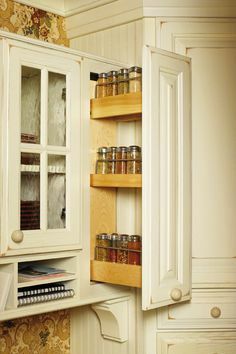 Kitchen, Bath and Closet Cabinetry by Wellborn Cabinet, Inc. 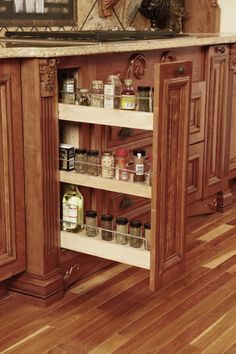 Spices have a home with this Base Spice Rack from Wellborn Cabinet, Inc.
Spice Rack Cabinet from Wellborn Cabinet, Inc.
© Copyright Pridecraft Inc. All Rights Reserved.